Video marketing is on the rise, with consumers preferring content that comes with visual elements. Maybe you’ve experimented with Facebook Live or included some video on your Instagram Stories. Video is a great way to reach audiences, but it’s easy to get discouraged or avoid it altogether because a video project just seems like it would be expensive and challenging. Know what you’re trying to achieve. Are you interested in growing sales with your video, inviting people to visit your website or share their comments on your social media page? Having a clear goal in mind is critical when planning a video. Identify where the target audience is in the buy cycle. You don’t want to create a video that’s appropriate for final decision-making if your goal is to funnel viewers to your website to browse your products. Creating an effective video includes creating a script that’s appropriate for a specific point in the buy cycle. Know what you want audiences to experience at the end of the video. What type of emotion or reaction will result in the behaviors you’re hoping to see? Think about whether you want them to be happy, inspired or if you’re just trying to remind them of a pain point that will lead them to your website for solutions. Determine how you’ll grab the audience’s attention. It’s important not to create a “me too” type of piece. Watch your competitors’ videos. Are they fast-paced and funny? Maybe you can distinguish your brand by creating a piece of video marketing that celebrates authenticity or strikes a more serious emotional chord. If your competitors are straightforward with their sales pitches, you may want to create a video that makes an emotional connection or addresses a passion that you share with your audience. Decide how you’ll make your video. The biggest consideration in a video marketing campaign, as with any advertising, is cost. What’s your budget? Many videos that fall flat do so because they have a smartphone-and-tripod budget, but they’re attempting to make a video that’s more like a mini-movie. If you don’t have a big budget or an in-house video team, plan to set aside some time for editing. You should also explore some of the easiest, but most effective small-budget video options, like explainer videos or behind-the-scenes videos that capture a day in your workplace. If you have a new product coming out, a live video of the reveal can be a great way to grab your audience’s attention and get them excited about your product. 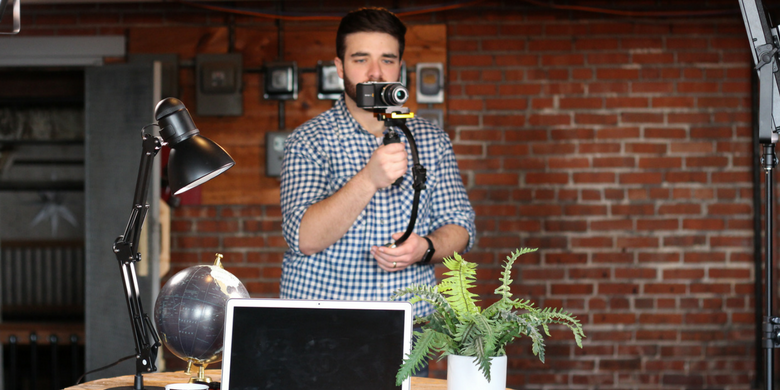 Video marketing can be done with any size budget, and we’ve got ideas to fit yours! 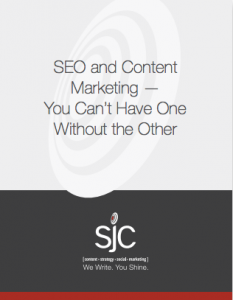 Contact us at SJC Marketing, where we love making your company shine with visual content.